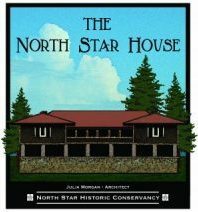 Our volunteers and their commitment to the various projects underway represent the most valuable asset of the North Star Historic Conservancy and The North Star House. Volunteers come from all parts of Nevada County and beyond, providing valuable services on restoring the grounds and preserving historic trees and plants, as well as rehabilitating and improving the North Star House for future community use. We get our volunteer help from local Nevada County schools, churches, contractors, professionals from many areas and from the general public. We also receive donations of materials and supplies needed to rehabilitate the house. Without this level of of support, our goal of making the North Star House and grounds a valuable community resource would be impossible to achieve. We would appreciate some assistance with the following endeavors, and you may contact us here.